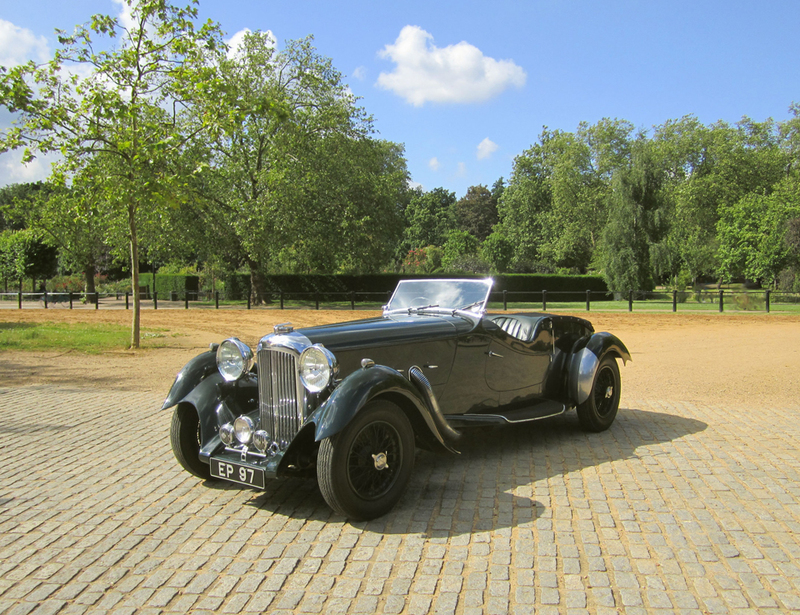 In 1933 Lagonda announced a new 4½ litre model fitted with an engine built by the Meadows company. This was a robust unit, well tried and used by Invicta in their range of cars and Vickers in tanks. 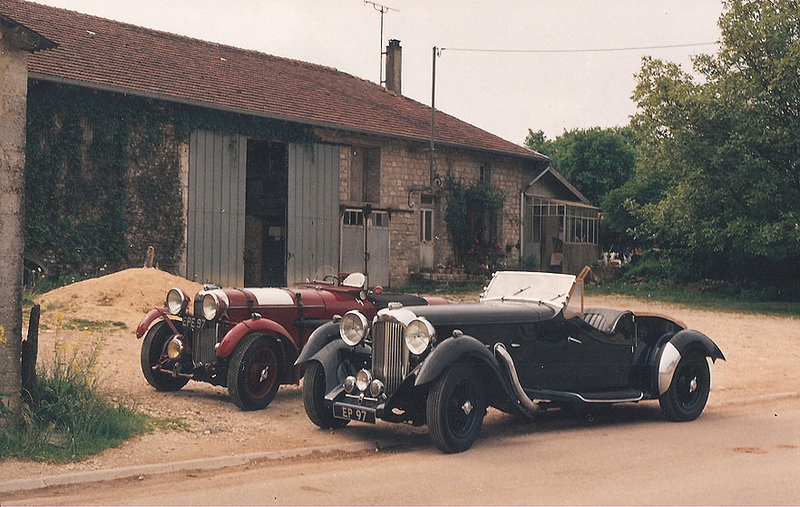 The first Lagonda Tourers were high quality cars and in direct competition with the new Bentleys built by Rolls-Royce. The Lagonda was priced at £ 795 for the complete car. The Bentley chassis alone cost £ 1,100 and even the cheapest Vanden Plas Tourer body would be another £ 240 on top! With its stylish appearance the Lagonda M45 Tourer was the fashionable car to own in 1934 and even Sir Malcolm Campbell had one, pale blue naturally. Refinanced and restructured the new company wanted to capitalise on the significant victory at Le Mans. An eye-catching sports model sharing the same name as the winning car would re-establish the marque as a name to be reckoned with. Frank Feeley (who later penned the DB3S for Aston Martin) designed a flamboyant four seat open tourer with highly stylised coachwork that looked bang up to date but actually utilised most of the existing chassis components. 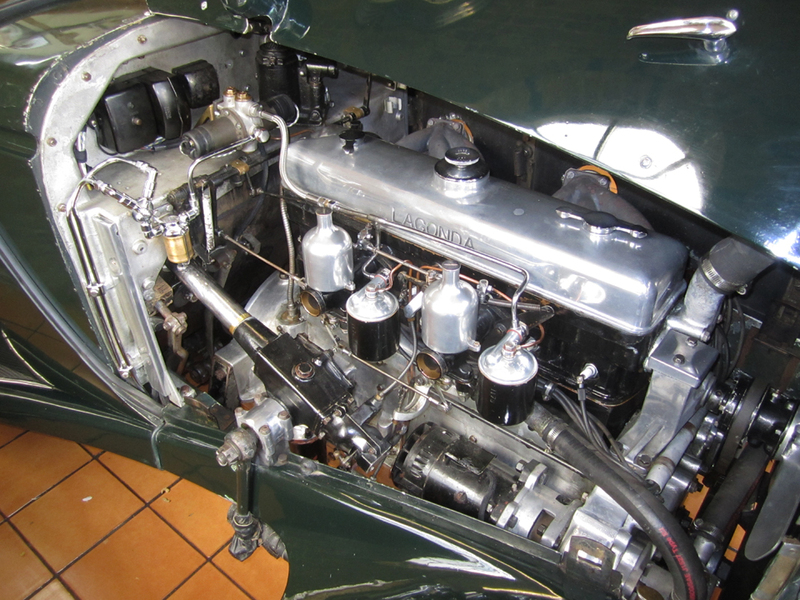 The engine was the big six cylinder, 4½ Litre Meadows unit but re-engineered by Lagonda’s Technical Director was no less a man than W.O. Bentley His redesign ensured performance and reliability improvements. Stronger main bearing caps secured by four bolts in place of the previous two bolt set up and a strengthened crankcase were all part of the package. The power was transmitted through a four speed gearbox with synchromesh on second, third and top. 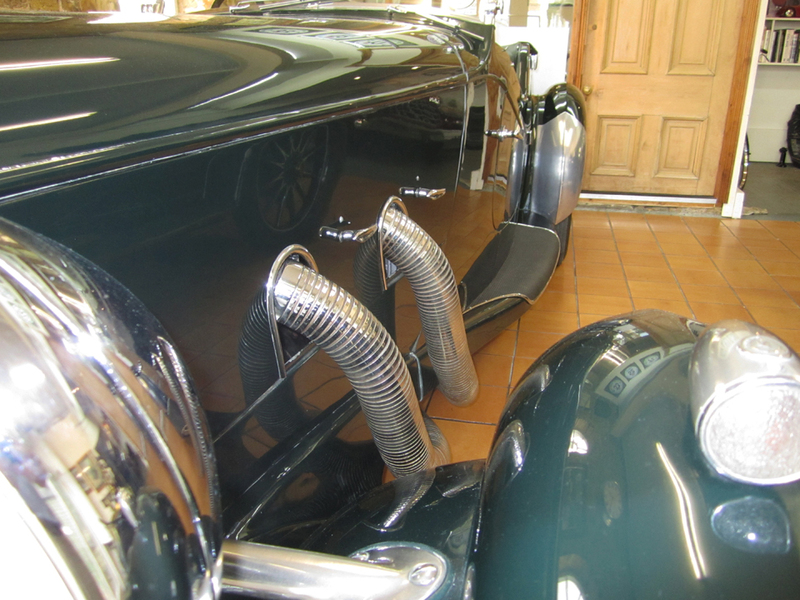 The result surely exceeded all expectations and a Rapide must have caused a sensation wherever one appeared drawing attention to its potency with its twin exhausts sprouting from the bonnet sides in flexible chrome covers. The Lagonda LG 45 Rapide was narrow, low and accelerated fast with a top speed that easily exceeded 100 mph. Chassis 12203/R was delivered new to the USA through “English Motor Cars Ltd” of 57th Street, New York and sold to Colonel Porter Adams who after a distinguished military career took the position of President of Norwich University in Vermont, and it was here that he took delivery of the car in October 1937. The records show that the car’s paintwork was green and had matching leather. The weather equipment was fawn and the woodwork polished walnut. This is how the car is offered today and it is a most attractive arrangement. The car returned to the UK in 1982 and eventually passed into the care of notable collector, Hugh Taylor. Memorably he competed with it in the 1990 Mille Miglia and he kept it until 1995 when he part exchanged it against an Alfa Monza with the Canadian enthusiast David Cohen. The car was back in the USA in 1995 and had two well-known owners in Henry Petronis and John Feiber. By 2012 it was once more back in the U.K. and by 2013 with its current owner. The Lagonda LG 45 Rapide is a rare car, only 25 were built and accordingly seldom come to market. 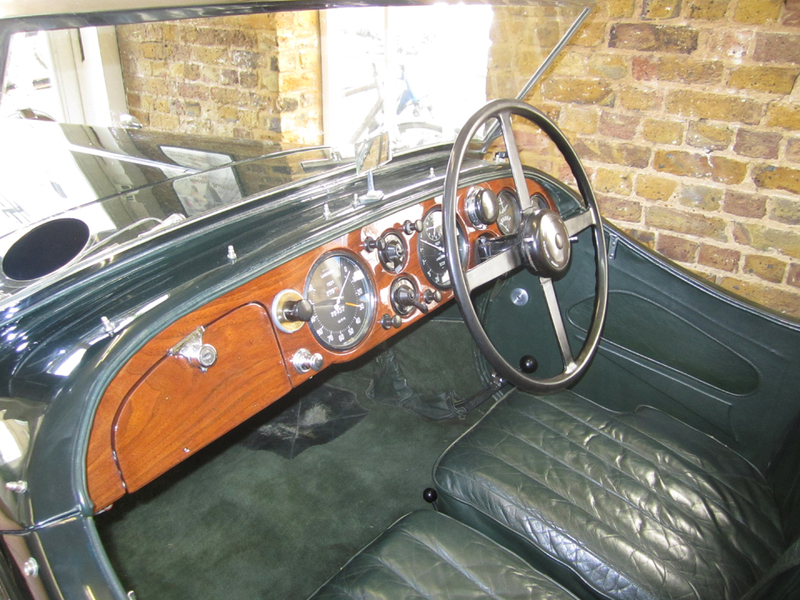 This car has a high degree of originality, matching numbers, its original colour scheme and a delightful patina. Offered for sale from a distinguished collection it has an interesting history and has benefitted from a recent significant mechanical rebuild that exceeded £ 65,000.